Participation in the Boot Camp is currently limited to members of CHIME, AEHIS, AEHIT, and AEHIA, and their direct reports (including Affiliates). CHIME Foundation representatives are not eligible to attend. Questions about eligibility? We can help! Please contact the CHIME office for assistance at 734.665.0000 or [email protected] prior to registering. 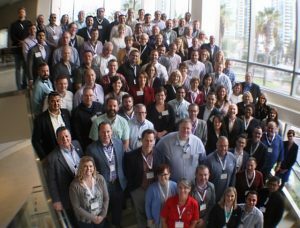 Healthcare CIO Boot Camp™ attendees are eligible to receive up to 32 Continuing Education Units (CEUs) toward the Certified Healthcare CIO (CHCIO) Program. To learn more about the CHCIO program, click here. To secure the discounted room rate of $189.00 (single/double) per night for the CIO Boot Camp, you may book your hotel reservations here. Or telephone the hotel reservations department at 888-627-7106 to make your reservation. Currently additional charges include room tax of 16.4%. The reservation cut-off is March 29, 2019. A one-night room and tax deposit is required to hold the reservation. Reservations received after the cut-off will be on a space-available basis only. Rooms fill QUICKLY be sure to make your reservations EARLY! 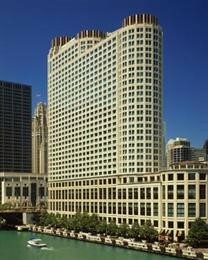 The Sheraton Chicago Hotel & Towers is located in the heart of the city. 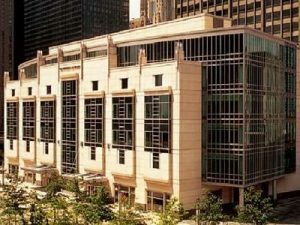 Overlooking the Chicago River, the hotel puts you within walking distance of business, The Gleacher Center, dining, entertainment and nightlife. Attire for the Boot Camp is business casual. Please remember to bring a sweater or jacket for air-conditioned meeting rooms. The registration fee for the Boot Camp is $4,595.00. Space in the Boot Camp is limited to a maximum of 50 participants. The registration fee includes all program materials as well as breakfasts, lunches, and receptions and group dinner. Register here for Healthcare CIO Boot Camp. Boot Camp registrants who cancel on or before March 1, 2019 will be issued a full refund of their registration fees. Registrants who cancel after March 1, 2019 and before March 8, 2019 will be assessed a $1,000 non-refundable cancellation fee. Due to the limited capacity of this program, no refunds will be made for cancellations received on or after March 8, 2019. Program Eligibility: Participation in the Boot Camp is currently limited to members of CHIME, AEHIS, AEHIT, and AEHIA, and their direct reports only (including Affiliates). CHIME Foundation representatives are not eligible to attend. Questions about eligibility? We can help! Please contact the CHIME office for assistance at 734.665.0000 prior to registering. The primary objective of the Healthcare CIO Boot Camp™ scholarship is to enable CHIME members and their direct reports to move ahead in their profession and, in particular, to help them develop their skills so they can become increasingly successful in a leadership role. Cara Babachicos is Senior VP and CIO at South Shore Health System, a regional community health system located south of Boston. Babachicos earned her Bachelor of Science degree from Boston College in the School of Management. She received her Master of Science Degree in Health Care Administration from the University of New Hampshire, and has a certificate in Innovation and Strategy from MIT. Babachicos has over 25 years of experience working in healthcare information systems with a career that spans across acute care, non-acute, for profit-vendors and consulting. In her current role Cara is responsible for Information Systems, Information Security, Biomedical and Strategic Project Management for South Shore. Cara values the importance of the healthcare continuum and seeks to enhance IT services to allow patient care in the home and/or other setting most suitable for the patient. Her hope is that IT will continue to provide better services to allow patients to stay in their home while receiving complex care. She is of the firm belief that IT enables change and that true success comes from partnering with the business. She demonstrates that change is enabled by IT both in her current role as Senior VP/CIO at South Shore Health System, and in her previous role as CIO and Corporate Director of Information Systems for the Community Hospitals and Post Acute sites at Partners Healthcare. Babachicos was a member of the CHIME Board of Directors 2014-2106. She is on the faculty of CHIME and teaches in the Healthcare CIO Boot Camp™. Babachicos has taught in the master’s program for Health Informatics at Northeastern University where she authored an online course focused on the patient experience. Previously, Babachicos was on the faculty at Harvard School of Public Health where she taught a course in executive project management. Adrienne Edens, FCHIME, LCHIME, CHCIO is an Executive Programs Advisor and faculty member for CHIME. Her career in healthcare information systems extends over 40 years including experience in HIT consulting and 25 years as a CIO. In her role at CHIME Adrienne puts her years of HIT executive experience into practice, designing education programs specifically for healthcare leaders. She is passionate about the importance of being a learning leader and supports CHIME’s vision to create education that contributes to our members achieving CHIME’s vision: “Exceptional Leaders Transforming Health and Care”. She has many years of experience as a speaker and trainer in numerous programs in the US and internationally. Adrienne has been serving as a faculty member for both the CHIME Healthcare CIO Boot Camp and the CMIO Leadership Academy for more than 10 years. As the Vice President and CIO for the Valley Area of Sutter Health in California Adrienne led the consolidation of the IS organizations of 2 previous regions into an integrated operational unit supporting 10 hospitals and 2000 physicians. She developed the regional implementation plan for Sutter’s East Bay Region EHR as part of the larger Sutter Health enterprise EHR program. As the CIO for St. Luke’s Health System in Boise, Idaho, she engaged the organization in developing a physician led strategy for the electronic medical record to consolidate 14 EHRs into one. This approach provided the means to integrate a widely distributed system of hospitals, physician offices, clinics and rural critical access hospitals. While at St. Luke’s she served as a member of the board of the state wide HIE, the Idaho Health Data Exchange. As the Information Officer for National Health Plan systems for Kaiser Permanente she led the programs to achieve compliance with Medicare Part D for the Kaiser regions nationally and to develop and implement the first deductible plan capabilities for the California regions. As Regional CIO for the Sacramento Region and Information Officer, Northern California, for Dignity Health (formerly Catholic Healthcare West), Adrienne managed the process of integrating systems for hospitals joining the region and participated in shared services programs at the system level. Throughout her career she has developed and implemented IT strategic plans, governance processes, organizational turn-arounds, process improvement projects and shared systems design and implementation for multiple Integrated delivery network regions, hospitals and physician practices. Prior to these positions she served as Practice Director, Pacific Northwest, for First Consulting Group where she led strategic IT planning engagements, vendor selections, contract negotiations and application implementation projects for healthcare financial and clinical systems. Her background includes significant experience in clinical systems development, integration and implementation. Adrienne holds a Bachelor’s Degree in English from the University of California at Davis and a Master’s Degree in Applied Psychology from the University of Santa Monica. She is a charter member and past Board member of CHIME and a past Board member of the Healthcare Information Management Systems Society (HIMSS), HIMSS Analytics. She served as a member of the Award Selection Committee for the annual HIMSS Most Influential Women in Health IT Awards for 2 years. George Hickman is Executive Vice President and Systems Chief Information and Analytics Officer for Albany Medical Center in New York’s Capital Region. He is responsible for overseeing all information technology, biomedical engineering and data analytics activities throughout the academic health sciences system, its hospitals, physician faculty practice and medical college. Prior to joining Albany Med, he was a healthcare IT partner with Ernst & Young LLP. This is Hickman’s third academic CIO post. He also has worked with Price Waterhouse Coopers and started his career as a hospital project engineer. He has worked with health provider organizations across the US as well as for the Ministry of Health in Singapore and the UK Health Authority and publishes frequently on healthcare IT and operational change topics. He was awarded the 2007 CHIME/Healthcare Information and Management Systems Society (HIMSS) John E. Gall, Jr. CIO of the Year. Hickman is a former board chair, former Foundation board chair, a charter member, the current Education Foundation board chair, and is a Life member and Fellow of CHIME. He is past board chair, past executive compensation committee chair, and a Life Fellow member of HIMSS. He is also a HIMSS Analytics past board member. Hickman is the board secretary for MedAllies, the service delivery organization Hudson Valley area HIE and a national HISP for Direct exchange, and a past board and executive committee member for the Health Information Exchange of New York (Hixny). He sits on the Cerner Corporation CIO Strategic Advisory Council and the Allscripts Touchworks Executive Forum. He also serves on his organization’s regional Medicaid Reform (DSRIP) board of directors. He is an advisory board member emeritus for KLAS and sits on the editorial advisory board for healthsystemcio.com as well as several associational, local, state and vendor industry committees. He holds a BS and an MS in engineering from the University of Tennessee. Jonathan Manis, a former clinician and veteran health care information technology leader, currently with CHRISTUS Health, most recently served for 13 years as the Senior Vice President and Chief Information Officer (CIO) for Sutter Health of Sacramento, CA. With more than 30 acute care hospitals, hundreds of primary care clinics and sites of care, and annual revenues in excess of $13B, Sutter Health is one of the largest and most respected integrated health care provider organizations in the country. Manis is a seasoned CIO with more than 25 years of IT leadership experience. He joined Sutter Health in 2006 from Illinois-based Provena Health, where he served as System Vice President of Administrative Services and CIO. Prior to Provena, Manis was Vice President, Information Systems for Advocate Healthcare in Chicago and, before Advocate, he was Chief Technology Officer for Sterling Health of Miami, FL. A native Floridian, Manis grew up on Cocoa Beach with America’s space program. After working summers at both NASA’s Kennedy Space Center and nearby Disney World, Manis enlisted in the US Navy and was trained as a licensed practical nurse. He served as a Hospital Corpsman on submarines and as a combat medic for the US Marine Corps before being selected to attend the US Naval Academy in Annapolis, MD. Parachute and SCUBA qualified, Manis was commissioned a Second Lieutenant in the US Marine Corps and was trained as a ground combat officer. Manis served as a Forward Observer and Fire Direction Officer, and participated in combat operations in Panama and Haiti. During Desert Shield/ Desert Storm, Manis served as a Tactical Fire Support Coordination Officer for coalition forces. Following graduate school at the US Naval Academy Postgraduate School in Monterey, CA, Manis was promoted and assigned to Headquarters, US Marine Corps, The Pentagon, Washington, DC where he managed information systems for the Navy and Marine Corps. Selected for promotion to Major, Manis accepted an early military retirement offer in 1994. A decorated combat arms officer, Manis attended the United States Naval Academy and Auburn University. He holds a Master’s Degree in Computer Science/ Information Systems Management from the U.S. Naval Academy Postgraduate School in Monterey, CA, and he has completed continuing graduate education coursework at Stanford University, UC Berkeley and the University of Michigan. Manis is a regularly featured speaker regarding technology and information systems management and he has authored multiple professional articles on the topics of information technology management and support function leadership. Jon and his wife, Bobbi, split their time between homes in Granite Bay, CA and Dallas, TX. With a daughter attending Boston University and a son still in high school, the Manis family enjoys skiing, scuba diving, sailing, and family travel. As of this date, Jon has yet to master the guitar. Sarah Richardson is a transformative, inspirational and results-driven business and technology executive who operates within large-scale healthcare and hospitality environments. She attains aggressive goals, catalyzes change and advances sustainability by designing and executing high performance-based strategies, cultivating top-tier talent, infusing expectations and accountabilities, instilling customer-centric practices and forging collaborative cultures. Sarah is one of those people who ‘gets things done’ and has a penchant for bringing out the best in people. With an enthusiastic and genuinely friendly attitude, Sarah radiates a sincere passion for delivering value and benefits to the teams she leads and serves. She has built award-winning teams and has been recognized by The Kansas City Business Journal as a ‘Woman Who Means Business’, a “Next Gen Leader’, and a ‘Rising Star’ by KC Business Magazine. With a B.S. in Hospitality Administration and a Master’s in Business, Sarah spent six years in the hotel and casino industry in Las Vegas, NV, before making the purposeful decision that she could create more meaningful results for more people if she moved into the healthcare industry. Her first 5 years in healthcare began as an IT Administrator at University Medical Center in Las Vegas, NV, where she then began her ten-year career with HCA (Hospital Corporation of America). Promoted three times in her ten-year tenure with HCA, culminating in a Division CIO position, Sarah’s contributions centered on leading the development and delivery of IT in a shared service model along with scalable operational programs and improvement activities. She is most proud that her work focused on building long-lasting, loyal relationships across the continuum, resulting in collaborative strategies to meet project delivery needs, productivity gains, and the use of technology to advance patient care resulting in better outcomes. Her ability to coordinate teams of technology experts, strategic business partners, physicians, and clinicians, has enabled her to repeatedly deliver programs, services, and tailored solutions in the healthcare setting. Currently, Sarah serves as CIO for DaVita Medical Group in El Segundo, CA. Since 1992, HealthCare Partners has been committed to developing innovative models of healthcare delivery that improve their patients’ quality of life while containing healthcare costs. Their strength is in their steadfast commitment to their guiding principle of coordinated care. Their physicians strive daily to bring the benefits of coordinated care to more than 600,000 managed care patients in California, who represent the diversity of cultures, socioeconomic groups, ages, and health statuses in the communities they serve. An active member of CHIME as a Certified Healthcare CIO (CHCIO) and current Vice President of Marketing & Communications for the Southern California chapter of HIMSS, Sarah regularly publishes industry relevant content on her website at www.conciergeleadership.com. She also volunteers her time as a board member with the Children’s Bureau and is currently enrolled at UCLA Extension, seeking a certification in Healthcare Management. She is an avid scuba diver and scuba diving instructor with a passion for conservation. Donna Roach is responsible for the Information Technology department and its functions for Via Christi Health, a 12 hospital system located in Central/ South Kansas. Prior to her CIO position at Via Christi she was the CIO for Borgess Health and Our Lady of Lourdes Hospitals, both systems are under Ascension Health. With more than 30 years’ experience in the healthcare industry, Roach has focused on healthcare information technology for the past 25 years. Before joining Ascension, she was CIO/VP of Information Services for Bronson Health in Kalamazoo, Michigan and previous to this the CIO/VP of IT at Condell Medical Center in Libertyville, Illinois. Her past experience includes W.A. Foote Memorial Hospital, Adventist Health System, Resurrection Health Care, Central DuPage Hospital, Rush University Medical Center, and the Veterans Administration. Roach earned her Bachelor of Science Degree, Health Administration, from the University of Illinois, Urbana-Champaign and her Master of Science in Health Systems Management from Rush Medical College in Chicago. She completed her Fellowship at the North Chicago Veterans Administration. Roach is a Certified Healthcare Chief Information Officer, a Fellow within the Healthcare Information Management Systems Society, a Board Member for the College of Healthcare Information Management Executives and active as a StateNet CHIME coordinator. Previously, she was the President of the Michigan Chapter of Healthcare Information Management Systems Society and Chair for the Michigan Hospital Association Technology Board. She has taught at the University of Illinois – Circle Campus, Rush University, Department of Health Systems Management, and UCONN, Health Administration. Contact Jessica Hadley at [email protected] or call (734) 665-0000 for more information on sponsorships.